Fushi's Really Good Cellulite Oil helps reduce the appearance of your cellulite, boosts circulation, tones and firms and promotes smoother looking skin. It has been formulated with a potent blend of highly effective, stimulating and circulation-enhancing ingredients. Gotu Kola, one of the most renowned Ayurvedic herbs and known for its superb circulatory benefits, has been triple infused to provide triple strength. This has been combined with stimulating and diuretic Green Coffee bean oil, vitamin-rich, nourishing Wheatgerm oil, vitamin E, detoxifying sweet Birch and cleansing grapefruit essential oil. Made with over 85% organic ingredients, and free from Paraffin, BHT, Benzyl Salicylate artificial perfumes and colours. A 100% natural product, with no nasties at all. 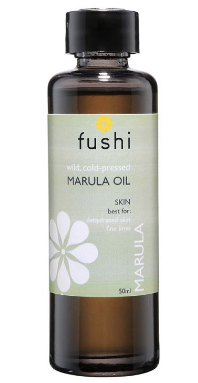 How to use Fushi's Really Good Cellulite Oil; Start with 2 weeks intensive treatment. Pour 8-10ml in your hand and use to massage the affected area in a circular motion for 10 minutes in the morning and evening. For ongoing maintenance use 8-10ml and massage the affected area in a circular motion daily. N.B not for use during pregnancy.